Around Aruba helps you find out what's happening on this one happy island, Let's explore. Bon Bini to Around Aruba. Our goal is to show island visitors that Aruba has so much more to offer than sun, sand and sea. From restaurants to resorts, you will be able to find businesses, activities and events that are going on Aruba on our website. We provide our maps to all the car rentals to help you get around the island at ease. If you want to get regular updates on new listings and events, send us your information through our contact us page and we will surely give you a buzz. Enjoy Aruba and get around this wonderful gem. Contact Around Aruba Tours to get the best tour of this amazing paradise. Around Aruba Tours lets you explore the hidden gems and fun-filled adventures in Aruba with our tailored Island tours and private Jeep Wrangler and Hummer rentals as well as UTV tours. Customize your travel plans around the Natural Bridge, Bushiribana Gold Ruins, Casibari and Ayo Rock Formation, Natural Pool and other such famous landmarks. 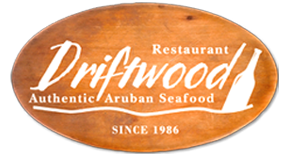 Driftwood Seafood Restaurant offers the fresh and most succulent seafood, it’s the only restaurant that catches their seafood daily. Located in the heart of Oranjestad at Klipstraat 12 and is open Monday to Saturday from 5:00 pm to 10:30 pm. Enjoy quality seafood in a more casual ambience at Red Fish. From Fish by the pound to Seafood Paella, we have the freshest seafood for you. Located at Orange Plaza, Oranjestad. Open Tuesday to Sunday from 11:30 am to 10:00 pm. 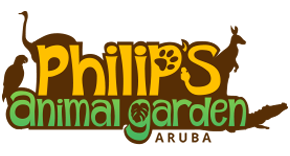 Philip’s Animal Garden is an organization that rescues and rehabilitates exotic animals from around the region on Aruba. Visit us and every child receives a free bag to feed the animals. Open daily from 9:00 am to 6:00 pm. See what's happening in Aruba, or find new places to explore. Book Direct and Receive a $10.00 DISCOUNT ON ANY TOUR. Aruba hides numerous attractions in its depths. Around Aruba lets you explore the hidden gems and fun-filled adventures in Aruba with our tailored Island tours and private Jeep Wrangler rentals. Jeep Safari Tour- Get a thrill of the safari with our jeep tours to natural pools and other landmarks. This includes free entrance to the Arikok National Park along with a driver/guide to enlighten you about the significant places and traditions around the place. Customize your travel plans around the Natural Bridge, Bushiribana Gold Ruins, Casibari, Ayo Rock Formation, Natural Pool and other such famous landmarks. Avail the benefits of pickup and drop facilities, non-alcoholic drinks, snorkel equipments and fresh towels, for 4 passengers in the luxurious, fully air-conditioned Jeep Wrangler. The tour starts with Aruba Island’s largest wildlife sanctuary, Philip’s Animal Garden covering Arikok National Park and Conchi Natural Pools before concluding the trip at their starting location. Get in touch with our Around Aruba community and its encouraging endeavors like Educational Tours, Sport Sponsorships and ‘Clean the Beach’ initiatives. UTV Tour- Experience the exhilarating wildlife of Aruba through an exciting UTV adventure for two. The driver should be at least 21 years old with a valid driving license while the minimum age for the passengers is set at 8 years.